MUNICH, Germany, January 4, 2012 (ENS) – Devastating earthquakes in densely populated areas and a large number of weather-related disasters made 2011 the costliest year ever for natural catastrophe losses in the insurance industry, according to executives at Munich Re, one of the world’s largest reinsurance companies. At about US$380 billion, global economic losses were nearly two-thirds higher than in 2005, the previous record year, when losses amounted to US$220 billion. Asia and North America racked up the most insured losses. Earthquakes in Japan in March and New Zealand in February alone caused almost two-thirds of these losses. Insured losses of US$105 billion exceeded the 2005 record of US$101 billion. Of the US$105 billion in insured losses, 47 percent were due to earthquakes, compared to a 30-year average of 10 percent. The Japan earthquake and tsunami caused 15,840 fatalities, the deadliest natural disaster in 2011. While the earthquakes in New Zealand caused high losses for insurers, there were few fatalities. With some 820 “loss-relevant events,” the figures for 2011 were in line with the average of the last 10 years, Munich Re data shows. 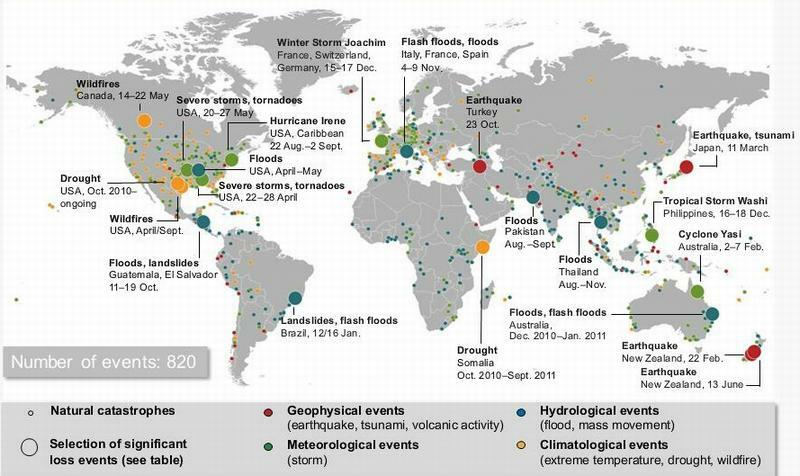 Ninety percent of the recorded natural catastrophes were weather-related. Yet nearly two-thirds of economic losses and about half the insured losses stemmed from geophysical events such as the large earthquakes instead of the the weather-related events that are usually the dominant loss drivers. “At least part of this increased frequency and number of weather-related disasters is driven by climate change,” said Ernst Rauch, who heads Munich Re’s Corporate Climate Center. On average over the last three decades, geophysical events accounted for just under 10 percent of insured losses. The distribution of regional losses in 2011 was also unusual. Around 70 percent of economic losses in 2011 occurred in Asia. Approximately 27,000 people died as a result of natural catastrophes in 2011, not including those who died as a result of the famine following the worst drought in decades in the Horn of Africa, which was the greatest humanitarian catastrophe of the year. Civil war and political instability made it very difficult to bring effective aid to the victims. The most destructive loss event of the year was the March 11 earthquake in Tohoku, Japan, when a Pacific Ocean seaquake with a magnitude of 9.0 occurred 130 kilometers east of the port of Sendai and 370 km north of Tokyo. It was the strongest quake ever recorded in Japan. The damage from the tremors themselves was moderate due to strict building codes, but the subsequent tsunami devastated the northeast coast of Japan’s main island, Honshu. In some bays, the tsunami wave reached heights up to 40 meters, washing away entire towns, roads and railway lines and destroying hundreds of thousands of houses. The tsunami-exposed northeast of Japan is believed to have last been hit by a seismic sea wave of this size in the year 869. Some 16,000 people were killed in spite of high protective dykes and an early-warning system, without which the death toll would have been much higher. 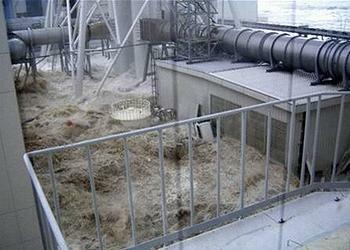 The tsunami led to severe damage at several units of the Fukushima Daiichi nuclear power plant. Some areas within a radius of 20 kilometers of the plant will remain uninhabitable for many years. Even without considering the consequences of the nuclear accident, the economic losses caused by the quake and the tsunami came to US$210 billion, the costliest natural catastrophe of all time, said Munich Re. The fault line that triggered the quake was 450 kilometers long and the seabed at the fracture face shifted by 30 to 40 meters. Experts believe that an earthquake of this strength occurs there once every 500 to 1,500 years. The main shock was followed by thousands of aftershocks, the strongest of which, some 40 minutes after the main shock, had a magnitude of 7.9. In the United States, the Japanese tsunami caused $100 million in damages to ports and boats along the Oregon and California coasts. 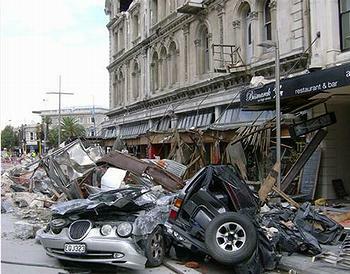 Earlier in the year, on February 22, there was an earthquake of 6.3 magnitude in Christchurch, New Zealand, following an earthquake of 7.1 magnitude that hit Christchurch six months earlier. The seismic waves were amplified due to reflection off an extinct volcano, so that far greater destruction was caused than would have normally been expected with an earthquake of this magnitude. The epicentre was at a shallow depth just a few kilometers from the city center. The losses were enormous. Numerous old buildings collapsed, and many new buildings were damaged despite the very high building standards. Some residential areas will not be rebuilt. Economic losses came to around US$16 billion, of which approximately US$13 billion was insured. One day before Christmas, the earth shook again in Christchurch. Over a dozen people were injured following three strong earthquakes. However, in terms of their severity, the quakes were not as bad as the devastating event in February. “Building codes in regions exposed to earthquakes need to be made even stricter, so that buildings do not just remain standing to an extent sufficient to save lives but can be used again afterwards,” advised Hoppe. 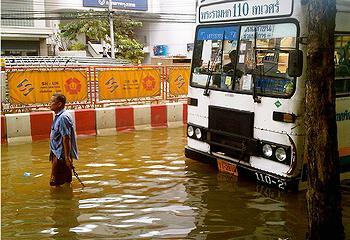 The floods in Thailand stand out among the many weather-related catastrophes of 2011. They were triggered by extreme rainfall, which started in spring and peaked in the autumn. Due to its low elevation above sea level, the plain of central Thailand, where the capital Bangkok is situated, is prone to flooding throughout the rainy season from May to October. According to Thai authorities, this year’s floods were the worst for around 50 years. The floods claimed the lives of some 800 people. Hundreds of thousands of houses and vast expanses of farmland flooded along with seven major industrial areas with production facilities belonging mainly to Japanese groups. Many electronic key component manufacturers were affected, leading to production delays and disruptions that impacted some 25 percent of the world’s supply of components for computer hard drives. With economic losses amounting to tens of billions of dollars, the floods were by far the costliest natural catastrophe in Thailand’s history. In the United States, 2011 insured losses totaled $35.9 billion – above the 2000 to 2010 average loss of $23.8 billion (in 2011 dollars), according to the Insurance Information Institute, based in New York City. Events included a very active thunderstorm-tornado-hail season, with insured losses exceeding $25 billion, more than double the previous record, and Hurricane Irene, which caused major flooding in the northeastern United States. 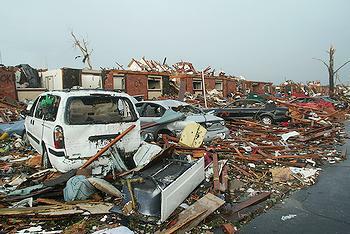 The tornado season was especially violent in the Midwest and southern states. Several series of storms with numerous tornadoes caused economic losses totalling some US$46 billion, of which US$25 billion was insured. Insured losses were twice as high as in the previous record year of 2010. The series of severe weather events can largely be explained by the La Nina climate phenomenon, said Munich Re executives on the webinar. As part of this natural climate oscillation in the eastern tropical Pacific Ocean, weather fronts with cool air from the northwest more frequently move over the central states and meet humid warm air in the south. Under such conditions, extreme weather events are more probable than in normal years. Average thunderstorm losses have increased fivefold since 1980, according to Munich Re data, totalling $25.8 billion in 2011. Losses from Atlantic hurricanes were moderate in 2011. At 18, the number of recorded tropical cyclones in this season was above the long-term average of 11 and above the average of 15 for the current warm phase, which has lasted since the mid-1990s. The number of hurricane-strength storms, six, was in line with the long-term average. However, the number of tropical cyclones that made landfall, especially on the U.S. coast, was very low. Only three named storms, one of them Hurricane Irene, made landfall in the United States. Irene caused economic losses in the Caribbean and in the United States totaling US$15 billion, only US$7 billion of which was insured. Eight million people in the Atlantic states and New England lost power, some for more than a week. It was the worst wildfire year on record in Texas due to persistent drought. In the spring, more than three million acres burned in west Texas from 12 fires, destroying more than 200 homes and businesses, with an insured loss of $50 million. In September, a major wildfire burned over 1,600 homes near San Antonio, with an insured loss of $530 million, calculates Munich Re. Robert Hartwig, president of the Insurance Information Institute, told reporters in a webinar today that the growing demographic shift into areas of high wealth and property value, is “disproportionately” increasing the population of the disaster-prone areas of the United States.